Much has been made of the fragmentation of music into niches, so the annual UK Christmas single race stands out as one of the last bastions of mass music consumption. 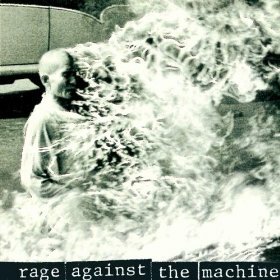 As you probably know, Rage Against the Machine’s “Killing in the Name” took the top spot against the putative winner, the doubly-manufactured mediocrity backed by X-Factor Svengali Simon Cowell. Over at dysonsound, writer ledyard expresses reservations about this win, commenting that, although it might be considered a ‘heroic move’ this year, it might ‘signal the obliteration of that holiday tradition [the Christmas single] as anything but a complete and utter waste of peoples’ time and money.’ Ledyard also decries the absence of a defining Christmas song from this decade, and raises the concern that the RATM win is symptomatic: we are now tearing down traditions, but not replacing them with anything. I come at this from a different perspective. While I appreciate the idea of the Christmas, my family has never celebrated it. Like an increasing proportion of Brits, Canadians, and Americans, I don’t have an ancestral memory of Burl Ives and chestnuts and carolers (I do have an ancestral memory of fireworks in the streets, though). So I really see the overthrow of this monolithic model of music (everyone listening to the same Top 40 stuff on the radio, say, and running out to buy the latest hit single) as paralleling the decline in a single monolithic culture (everyone celebrating Christmas). It’s not like Christmas music is dead; any number of individual artists continue to record Christmas songs every year. But the absence of a dominant Christmas-themed holiday single in the last ten years in the UK (and elsewhere) is probably more reflective of an increasingly diverse culture than of Cowell’s machinations. Just as I’m happier living in a world where I can listen to lots of different music, not just what ClearChannel wants to serve me, I’m a lot happier living in a world where Slade’s “Merry Christmas Everybody” isn’t the soundtrack to my entire December. zed equals zee happy hour returns! Live in the Boston area and interested in music, culture, and technology? Couldn’t get enough of the conversations at Music Hack Day? Come to the second zed equals zee happy hour on Monday, January 4th, 2010 (!) 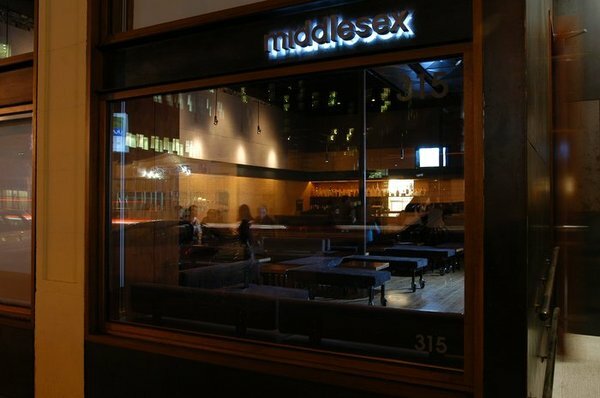 at the Middlesex Lounge in Cambridge, from 6 to 8 pm. Join me, Chris Dahlen (a writer for Pitchfork and ‘total badass’ moderator) and a host of Boston music and tech types for drinks, snacks and discussion. Feel free to RSVP via e-mail or in the comments so we know to expect you, but just showing up is fine too. Please join us! Live music, especially in small venues, is about taking risks. And not everyone is comfortable with that. A couple of months ago, I went with a friend to see The Killers play at the TD Garden in Boston. It was the first arena show I’d been to in many years, and what I was most struck by was how safe and controlled it was. The band transitioned smoothly from song to song, the lightshow was pretty, and all the songs sounded much like their recorded versions. One of the things I love about seeing live music is the spontaneity and the interactivity. And, of course, that means that sometimes things go wrong. At arena shows, the larger scale means that everything needs to go right, and all of the rough edges need to be smoothed down. Something going wrong in a club show adds to the live experience; something going wrong in an arena show detracts from it. Arena shows are low-risk events. A few weeks ago at Music Hack Day Boston, Paul Lamere talked about the fanciful idea of a ‘risk knob’ for music recommendation. If you’re having a rough day at work, for example, you can turn down the risk knob and listen to familiar music. Or you can turn it up for wilder suggestions. Most people, it seems, have their risk knob turned fairly low when it comes to live music. They want to hear something familiar. A tiny minority have their risk knobs turned high enough to go see bands in small venues, prepared to hear something they’ve never heard before. You can play a bit with risk homeostasis: unfamiliar bands can do covers, for example. Or someone might go see a favourite singer front a new band. But, ultimately, you can’t really change people’s tolerance for musical risk. And it seems that this would have implications for bands that are trying to make a living from live gigs. Note, also, that if you expect people at your shows to take the risk to hear your music, they need to be comfortable in the environment and with the crowd—more on this soon. Thanks to Michael Epstein for discussions around this topic. Image credit: RISK AWR WC T7L LosAngeles Graffiti Art, by Flickr user anarchosyn, used here under its Creative Commons license. You are currently browsing the zed equals zee blog archives for December, 2009.